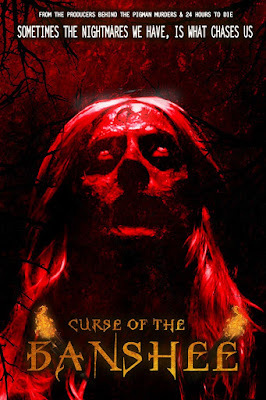 Hood Up Films, H Block Productions and Shami Media Group have just released Stephen Patrick Kenny's short film CURSE OF THE BANSHEE on Amazon Prime in Ireland, United Kingdom, (USA and Canada coming soon), Germany and Japan. The supernatural short which had a successful festival run tells the story of a vengeful banshee who takes vengeance on a small Irish town that lynched her 50 years ago. Her only opposition is a demon hunter and his wild protégé. The film is written, produced and directed by Stephen Patrick Kenny (THE PIGMAN MURDERS, 24 HOURS TO DIE a.k.a. CAPTIVE) and stars Mark Hutchinson, Bernie Kavanagh, Emma Gunning, Marty Nolan and Mike McNamara. Our review of the short film can be found here. You can buy or rent the short film CURSE OF THE BANSHEE by clicking the country names above. Below you will find the trailer.